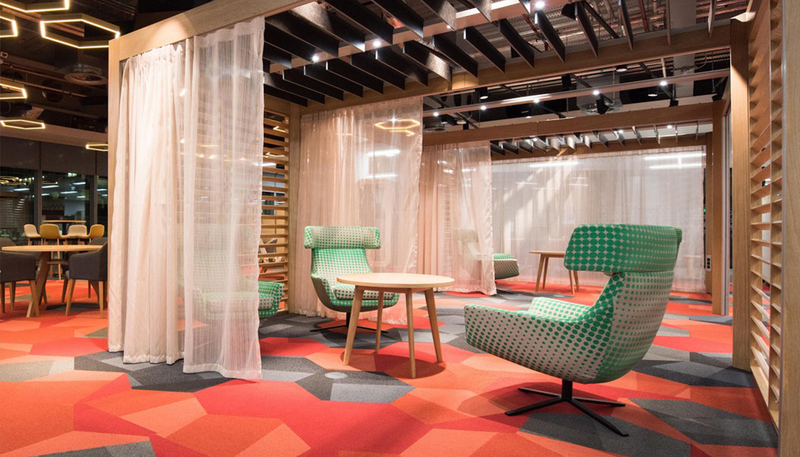 PwC, one of the “Big Four” accounting firms at global level, has recently inaugurated the new headquarters in Manchester, hosting 920 staff members. The new offices were planned to break barriers, hierarchies and the phisical separations between the teams, thus enabling the staff to work together flexibly but efficiently, utilising today’s technology. Our contract wingback chair Joy was selected for this awesome project, covered with a very powerful dots fabric.